← Can Pittsburgh Save Detroit? 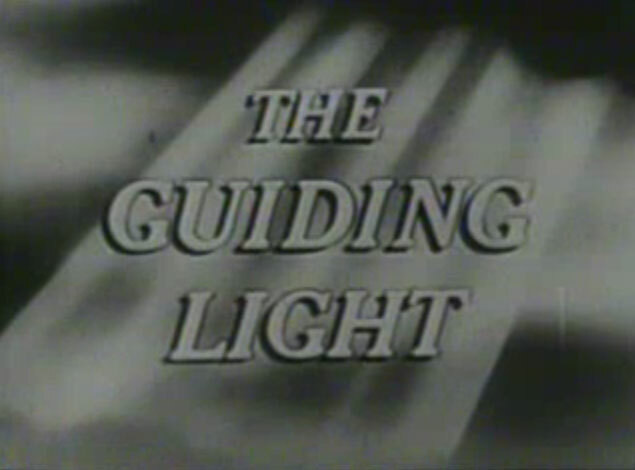 Guiding Light, the oldest dramatic series on American TV (or maybe any other, for that matter) has been cancelled after seventy-two years on radio and TV. Almost all the shows I watched as an impressionable child while staying with Oleene are long gone now. I occasionally find myelf looking for old soap opera video online. It’s some of the ultimate TV ephemera, as most of the early shows were done live and are lst forever. Even after the advent of videotape in the 1960s, most sopar operas and game shows (along with Johnny Carson, etc.) were not deemed worthy of longterm preservation and were just recorded over by shortsighted networks. Miraculously, Dark Shadows is one of the few 1960s soaps that survived more or less in its entirety, paving the way for a successful syndication run and DVD release. Match Game is one of the few 1970s game shows that was similarly preserved, essentially giving GSN most of its start-up programming. This entry was posted in Geeky, Pop Culture, Reminiscence and Reflection by David. Bookmark the permalink.